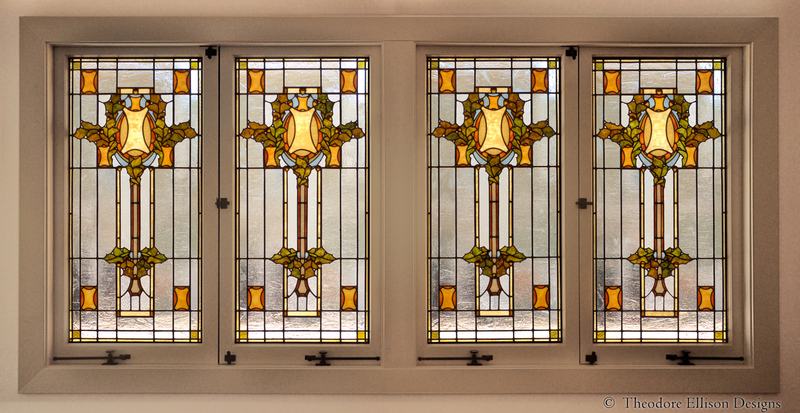 Inspired by the ornamental glass designs of Louis Sullivan and Purcell and Elmslie, these windows were commissioned for a home here in Oakland where a balance of privacy and light transmission was desired. I localized the design by creating an oak and acorn motif rather than the acanthus leaf favored by Sullivan. 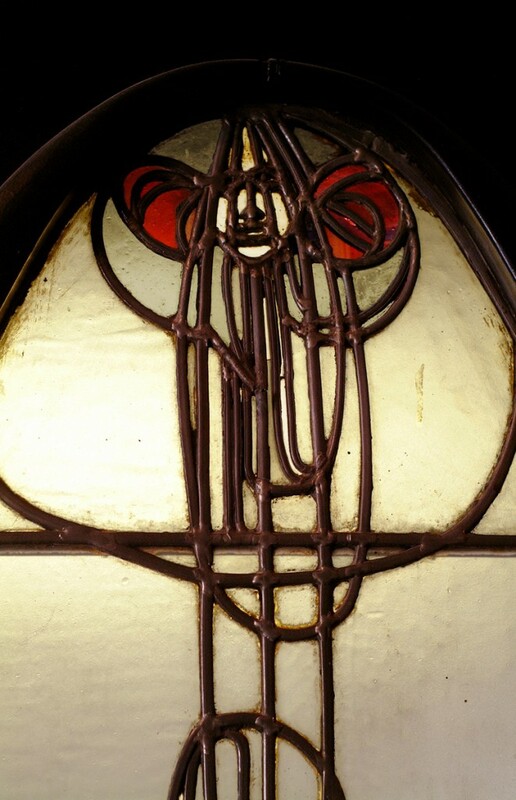 By using lead came instead of copper foil, these windows took considerably longer to build, but the result was truer to the work of Louis Millet, the glass artist who helped Sullivan develop his designs. The design drawn to scale. 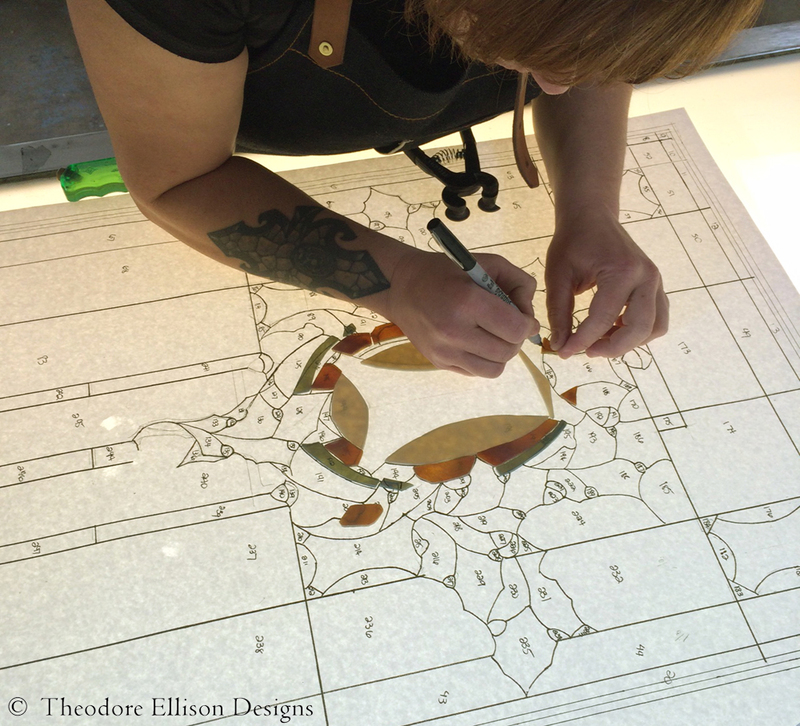 Carrie cutting and numbering each piece. Just before their final cementing and patina. 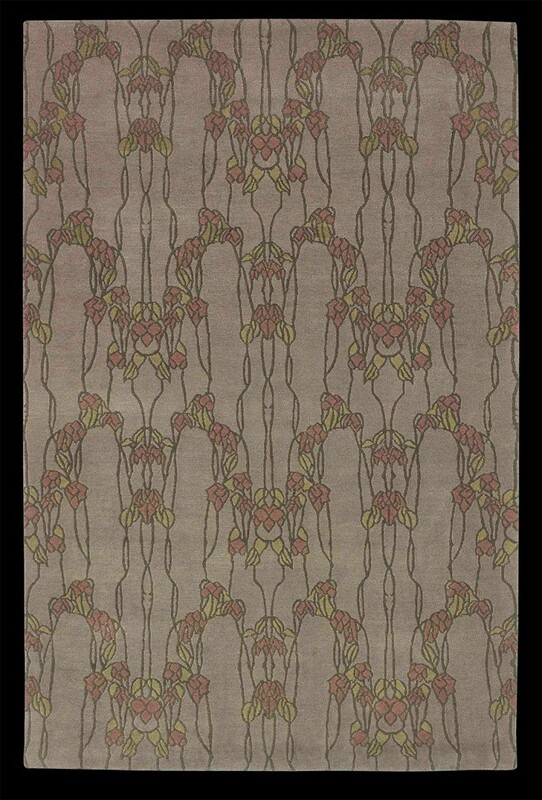 Theodore Ellison has partnered with Tiger Rug to create a line of high-quality wool and silk designs handmade in Nepal. While the team and production facility in Kathmandu survived the earthquake, the recovery effort will require international assistance. Through the month of May, all proceeds from the Theodore Ellison Collection for Tiger Rug will be forwarded directly to relief efforts in Nepal. Please visit Tiger Rug for more information. Ray Lindquist was a good craftsman, a good collaborator, and a good guy. He built the steel frames for our laylights for over 10 years. To call him a highly skilled craftsman is an understatement. 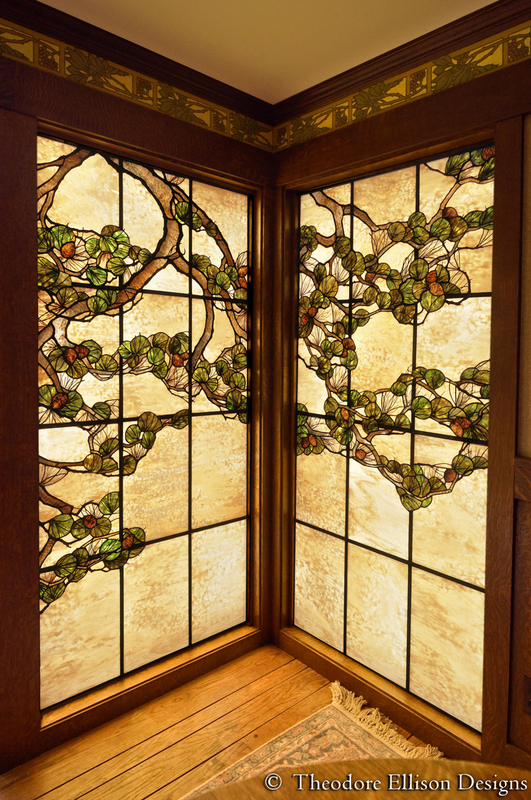 Sometimes I’d get calls from out-of-state contractors, nervous about placing stained glass over their client’s heads: Would it be safe? Would it fit? I was always able to say with absolute certainty that they had nothing to worry about, that any frame Ray built would be strong and flush and absolutely accurate. I liked telling them that Ray was also a Union Machinist for United Airlines, whose other job was to ensure the accuracy of the work of his fellow machinists. Ray had several qualities that made him the ideal collaborator. The first project he and I did together, he submitted all of his measured drawings in thousandths of an inch. All of his work displayed the same level of attention to detail. Every project he made came out perfectly – his frames were flat, square and exact. 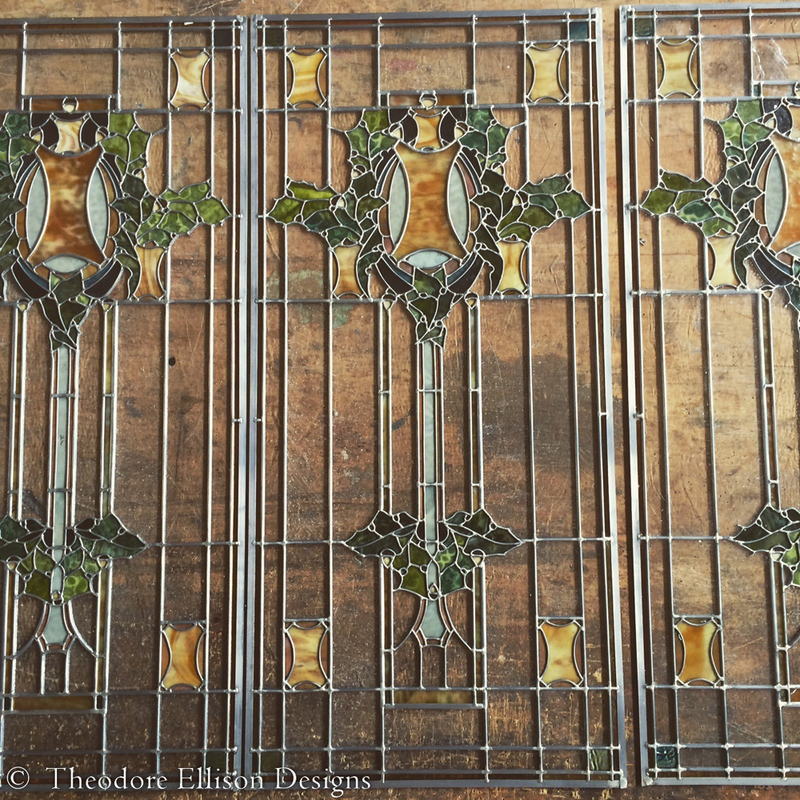 While this may seem inconsequential, when you’re building stained glass windows by hand, small variations in the frame could cause us to waste much time perfecting the fit of each panel. That’s one of the things I appreciated most about Ray – his work ethic produced work that was respectful of others. His precision saved us time. We didn’t have to do more work to correct his mistakes, and the contractors who came after us wouldn’t have to spend extra time creating out-of-square trim to fit an out-of-square frame. Ray was creative. He was highly inventive when we needed to create workarounds that were dictated by the needs of the site. 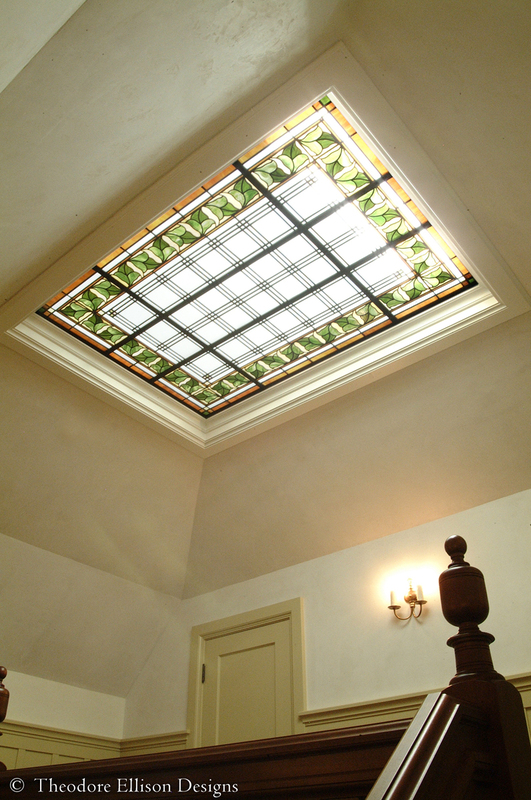 On one project, we needed to build a trapdoor to allow for servicing the lights overhead. Ray built from scratch an invisible door that opened with a locking arm mechanism, and it all worked smoothly and perfectly. On another project, we had a tricky problem with an HVAC air return conflicting with the position of a laylight. Ray came up with an innovative solution that ‘floated’ the laylight on spacers, to allow for airflow without compromising the design. He drew it up and we submitted it to the project engineer, who did the math and determined that Ray’s plan would work perfectly well. In the 10 years we worked together, Ray and I created work for homes all over the United States. Ray was never one to get by on making something that was just good enough. His standards for his work were high, and he always lived up to them. He brought care, creativity and precision to every job we did together, and I feel lucky to have been able to work with him. I’m glad to know that pieces of him will live on in his fine work, in buildings and homes all over the country. He will be missed. Here are some of the projects we created together. As our 16th year comes to a close, we’d like to thank everyone for their enthusiastic support over the years. All of us wish you the best in the New Year! 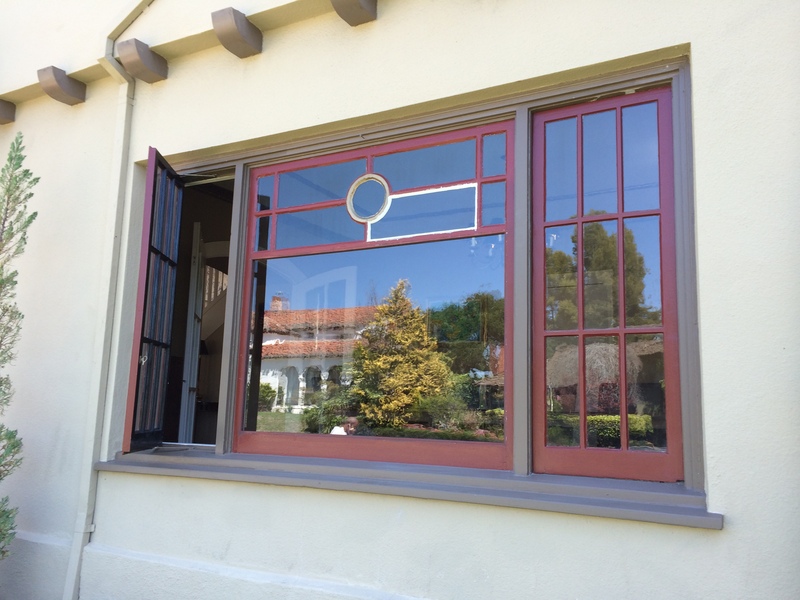 This gnarled pine tree window surrounds the corner of a dining room in Mill Valley, California. 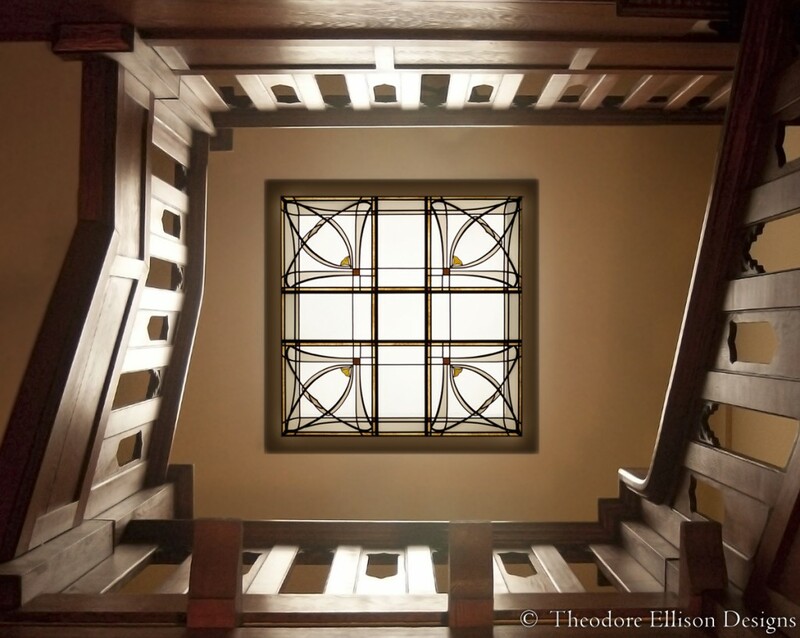 Last spring I was contacted by Ariana Makau of Nzilani Glass Conservation to see if we could assist with finding a glass for the restoration of a window by Bruce Porter for the Swedenborgian Church in San Francisco, a National Historic Landmark. 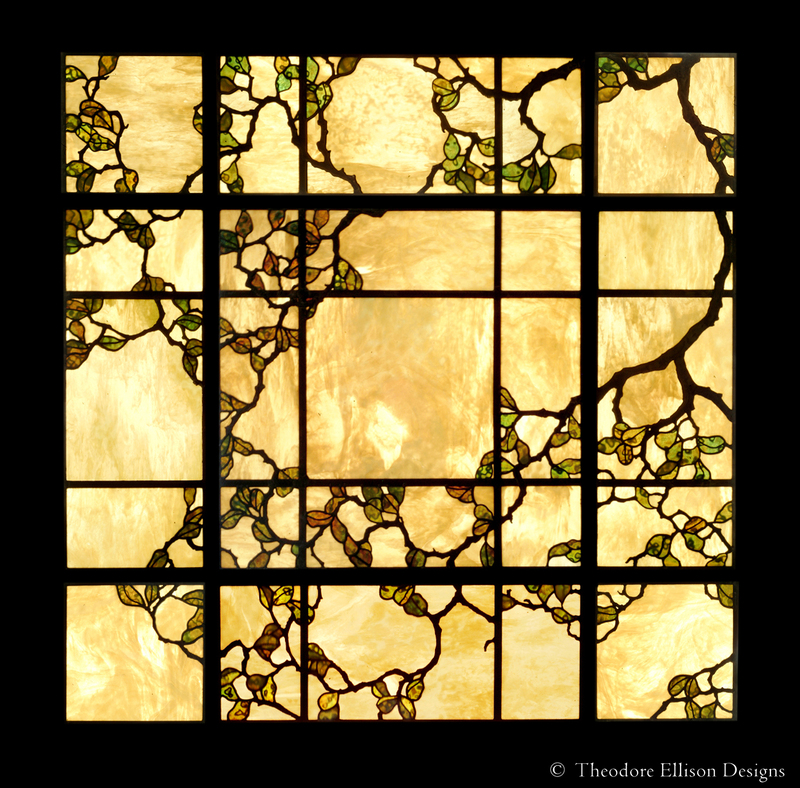 At that point I was deep into researching and documenting the stained glass he made between 1892 and 1912 and was excited to see the window up close. 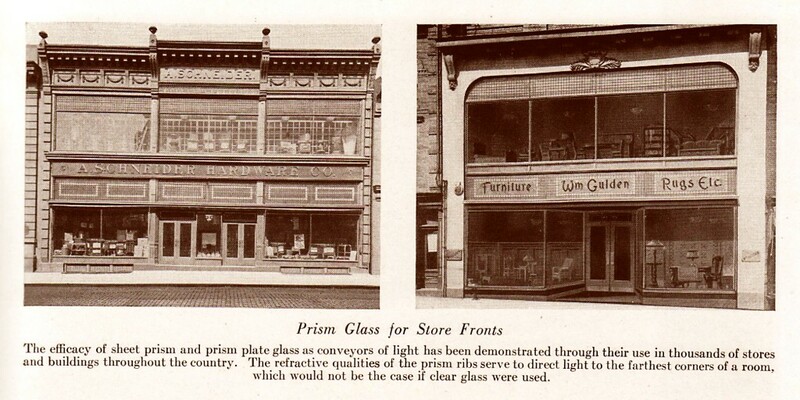 The glass at issue was crumbling due to improper annealing when the glass was made 120 years ago. I had a single sheet from the now defunct Chicago Art Glass that had just the right irregular ripple texture of the original glass. Ripples are made by rolling molten glass through a patterned roller and the character of a texture – the spacing of the peaks and the depth of the valleys – is unique to each manufacturer. What made Chicago’s ripple so special was more in their technique than the equipment. They would alter the speed of the roller by swapping out the drive gears and once it had gone through they’d pull the still soft glass to break up the consistency of the texture. I enjoyed working with Ariana and was honored to play a small part in the restoration of this important and beautiful window. 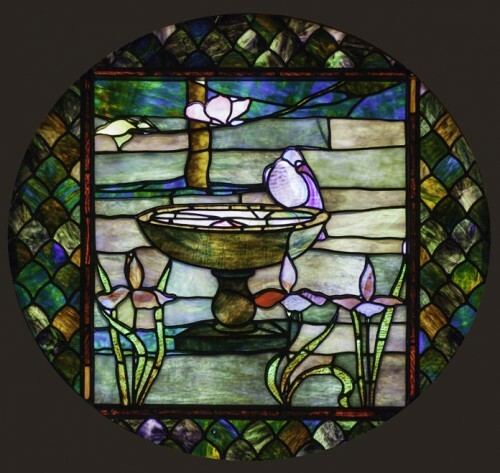 Ian Carr, a film maker and a member of the congregation captured the process and put together this engaging documentary, Conserving the Dove Window: A Spiritual Journey Through Time. I’m pleased to introduce The Dunsmuir Door, a new collaboration between my workshop and Shawn Kammerer of The Craftsman Door Company. We’ve worked on many projects over the years and I can say without hesitation; his work is the best there is. He’s got that combination of aesthetic sensitivity and outstanding craftsmanship that is too rare these days. It’s difficult to capture in a photo, but the awareness he puts into the creation of these doors makes it evident that he enjoys his work. 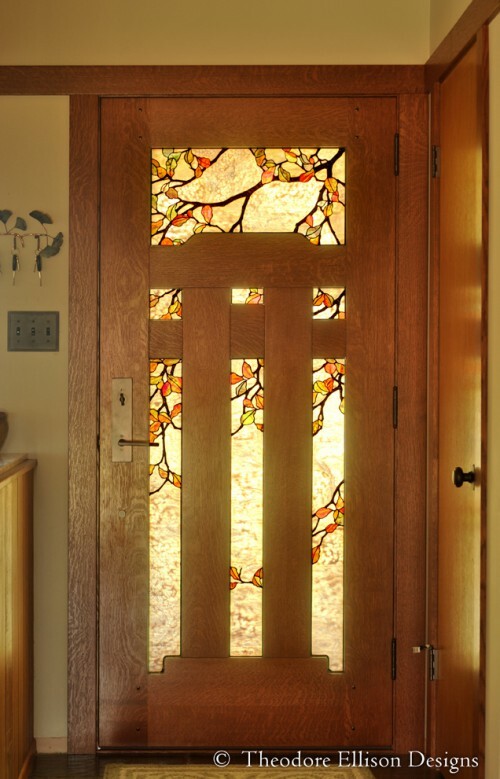 The wood framework of this door allows for an all-over glass design and provides ample support to ensure the stability of the glass. And the scale of this door makes it perfect for almost any size home. We’ve made two of these so far; a fall leaf design and a flowering branch design, and custom designs are always available. Dunsmuir Door in Quarter-Sawn White Oak. 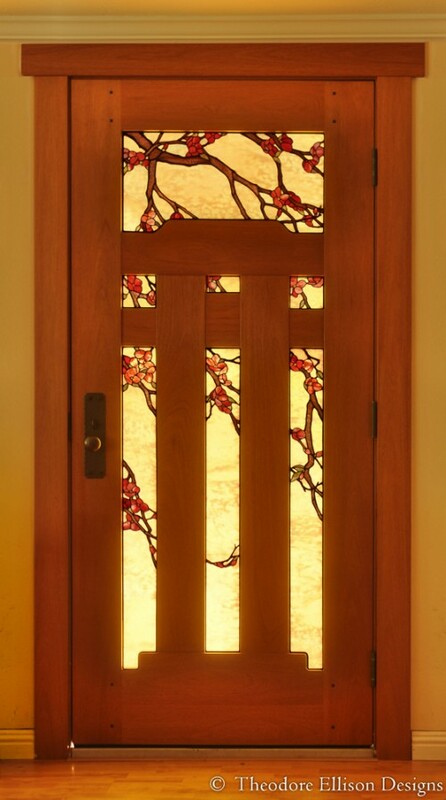 Mahogany door with natural oil finish and flowering branch art glass. 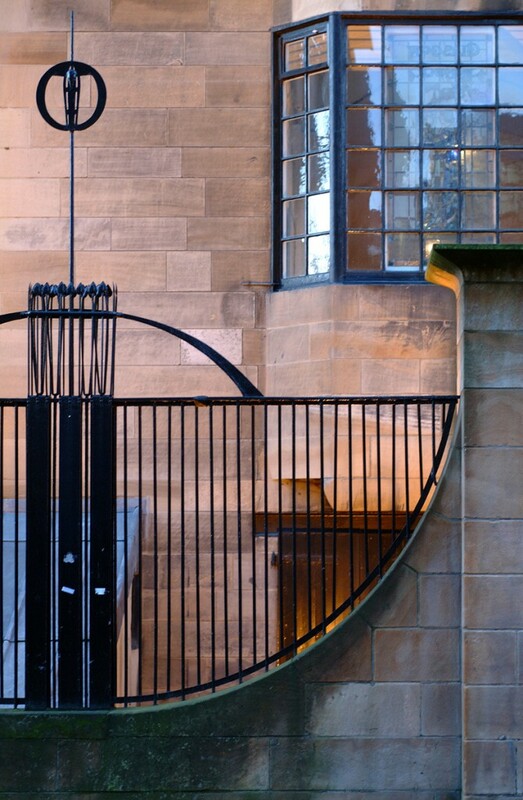 This week I learned that a portion of the Glasgow School of Art had been damaged by fire. My first thought was if the library had been damaged. As it turns out, it’s completely gone. 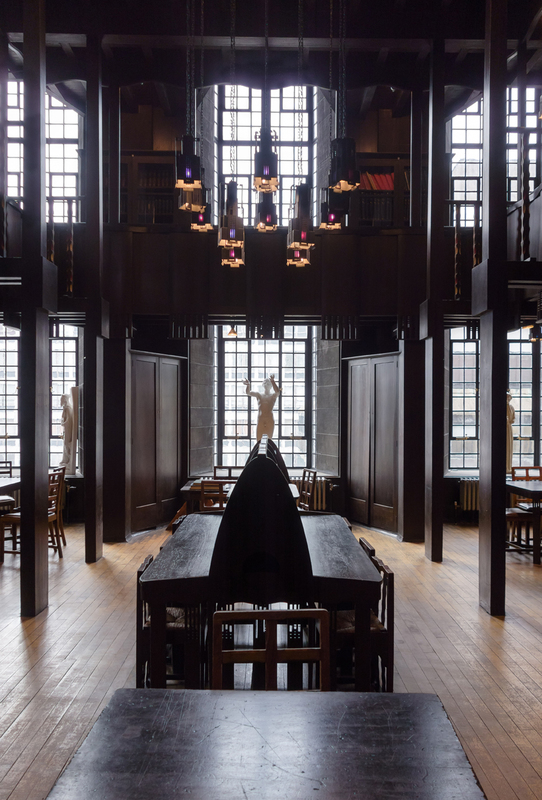 More than the obvious losses; the original hand-carved woodwork, the dinged and dented rush seating, the books, the inventive overhead lighting; what can’t be replaced is the feeling you get from being in a room that was still used for it’s original purpose. Over a century of wear gives a place a patina that you don’t find in other buildings of this importance. Usually roped off from us, we’re distanced from history, but here, one was able to see first-hand why things were designed the way they were. In 2003 I spent a week in Glasgow photographing leaded glass and I stayed directly across from the School of Art. The director at the time allowed me use of the library and the resources I gathered are something I refer to frequently. 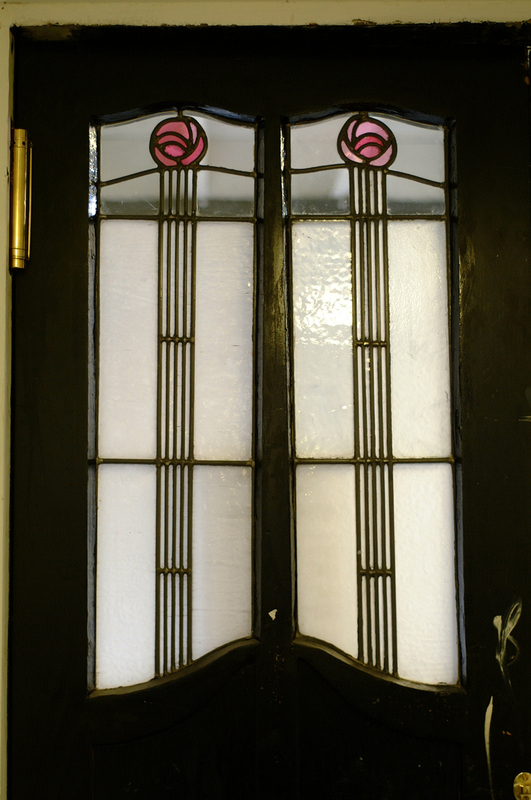 Photography wasn’t allowed in the library, but I did get images of some of the leaded glass in the rest of the building. I’m not certain if any of this is damaged. 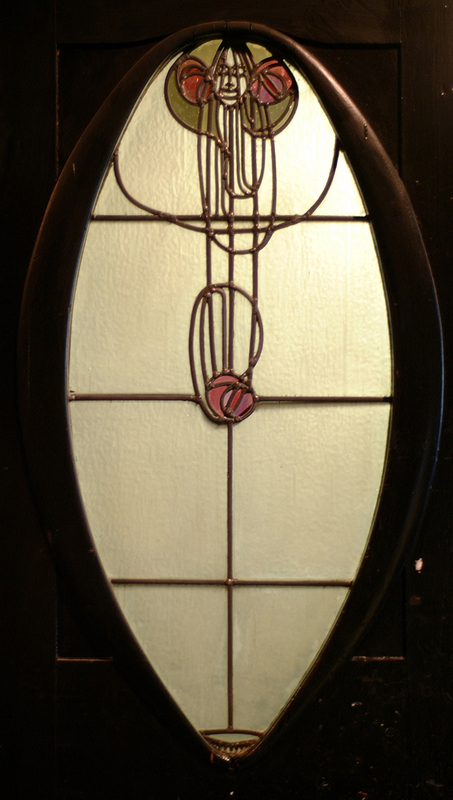 This window wasn’t designed by Mackintosh, but it’s an excellent example of inventive glass lettering and the Glasgow aesthetic. Anyone can walk into a 24 Hour Sign Shop and have a vinyl sign ready the next day. However, if your message is ‘I am in business and will be here for a long time’, nothing says that quite like leaded glass signage. On a recent trip to Memphis I saw this unbelievable terracotta building facade and had to pull over. Probably among the finest examples of this kind of work left in the country, it got me thinking about the history of this kind of advertising. 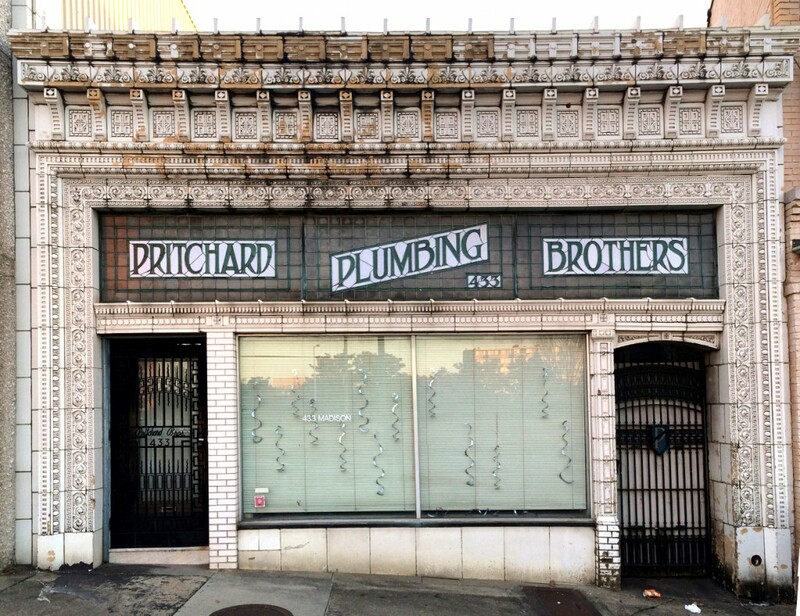 With these storefronts, the leaded glass sign serves multiple purposes; in addition to advertising, the glass that surrounds the lettering is made of prism glass that diffuses light and projects it further into the building than standard glass would. Additionally, it screens the interior so the eye stops on the surface of the sign. 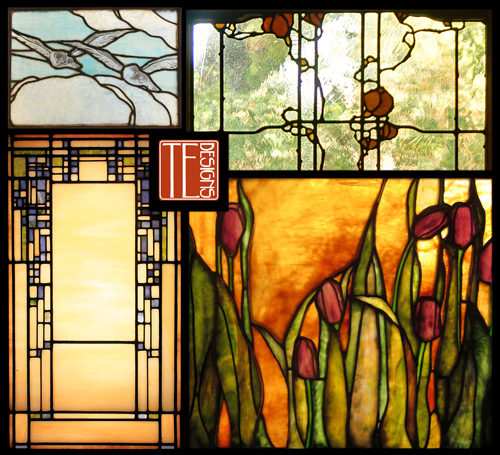 Here’s information on Luxfer Pressed Prism Tiles and Frank Lloyd Wright’s involvement with them. Advertisement in the March 1904 issue of Worlds Work Magazine. Lettering has been a part of stained glass from the beginning as seen in these windows from the 12th century. 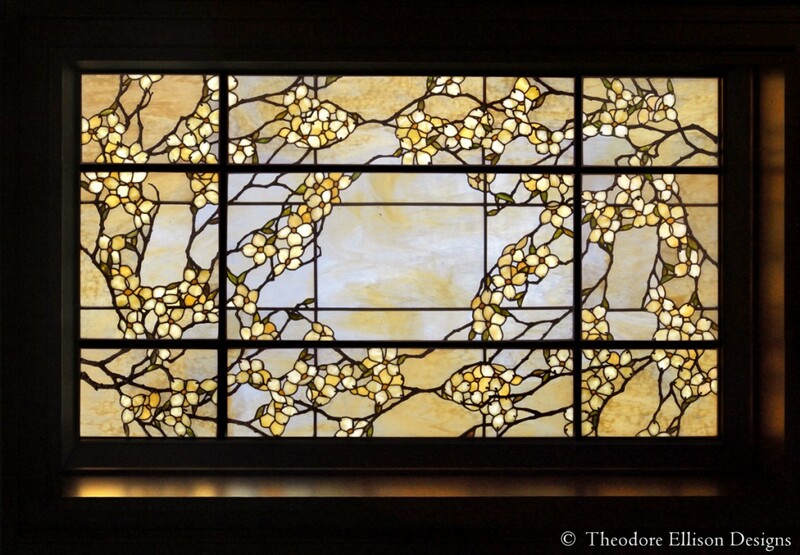 For centuries it was painted and fired to the glass surface. 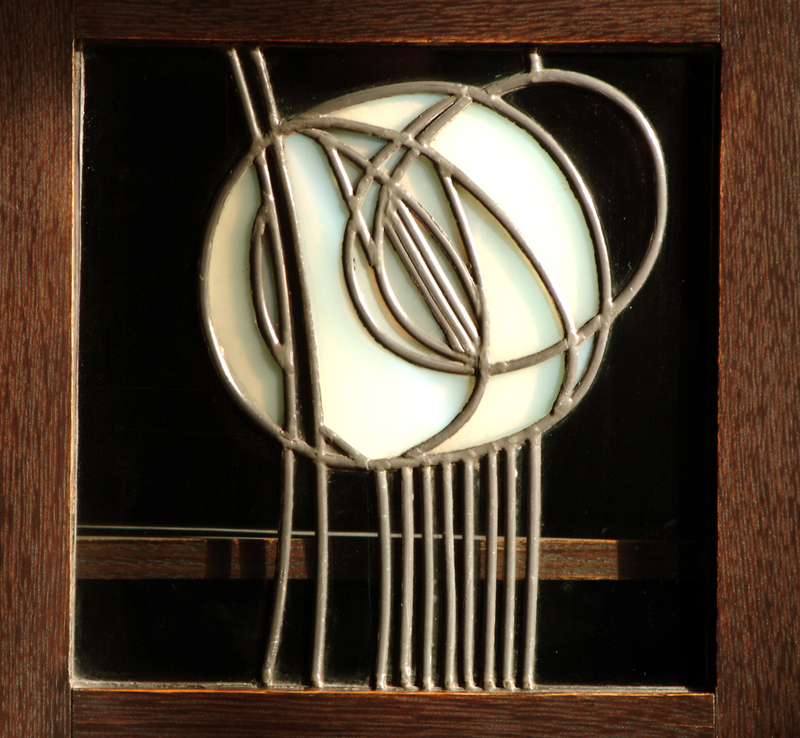 Creating the lettering out of glass and lead was rare. 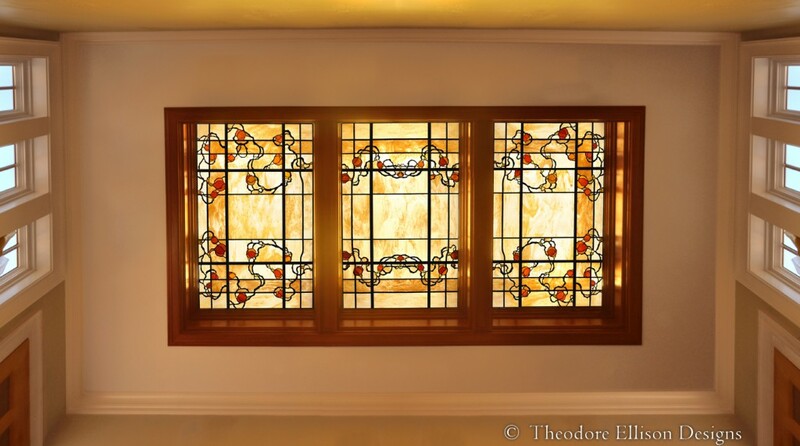 During the commercial architecture boom in the decades following the civil war, glass craftsmen were commissioned to create colorful windows that doubled as advertisements. Image from Jeremiah’sVanishing New York. 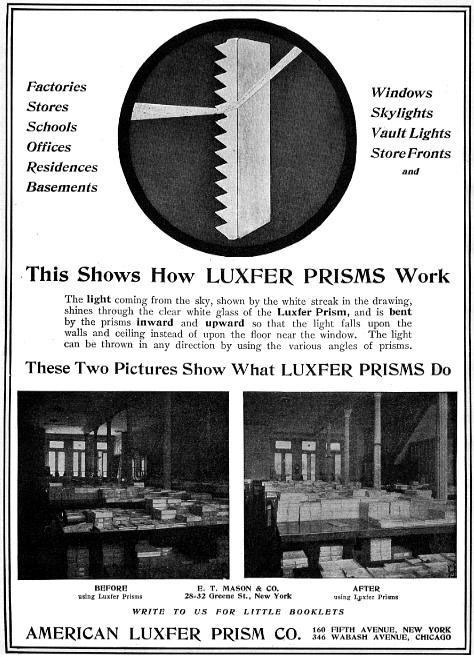 When Luxfer Prism was founded in 1896, they modernized this form of signage by offing a modular product both durable and attractive, and these windows proliferated onto storefronts all over the country. 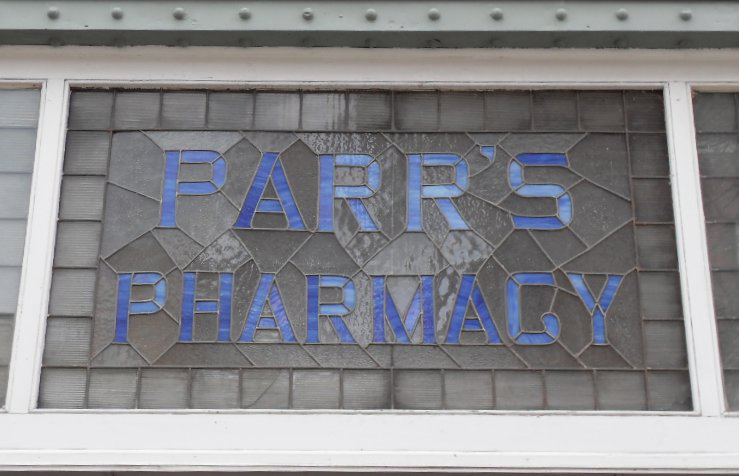 Soon after, companies such as Pittsburg Plate Glass offered storefront systems that incorporated modern glass window walls integrated with transom signage. Now that the background glass was set, designers could focus there attention on inventive fonts. 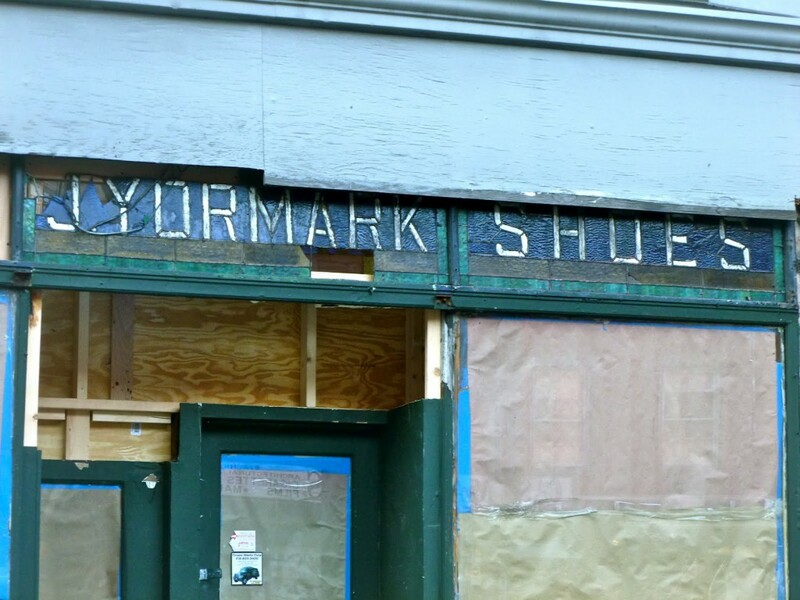 These examples illustrate the skill set basic to all sign painters – lettering by hand. 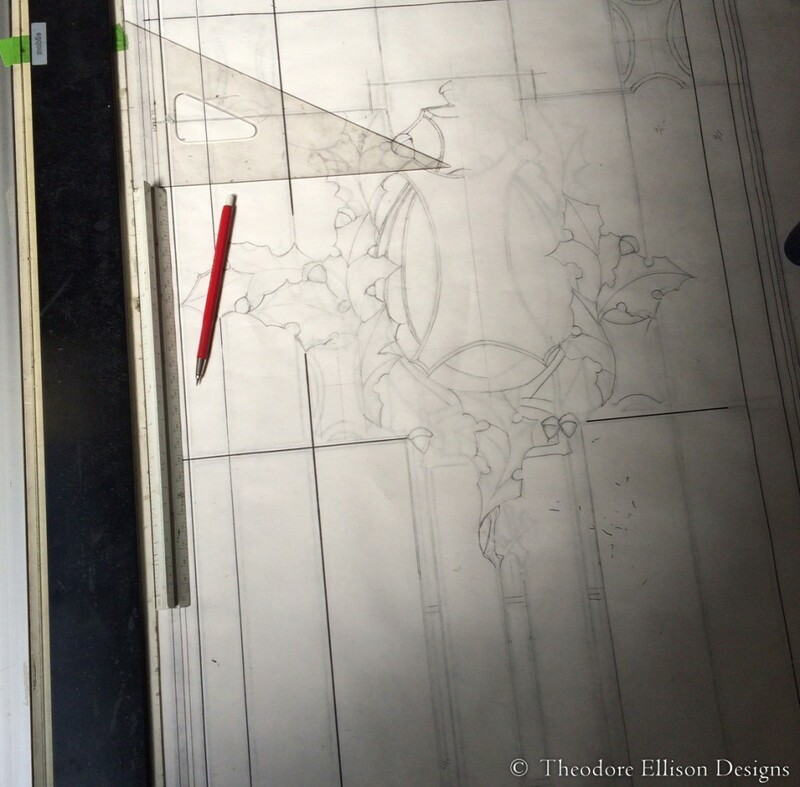 This requires an understanding of graphic art and glass design that isn’t practiced much anymore. 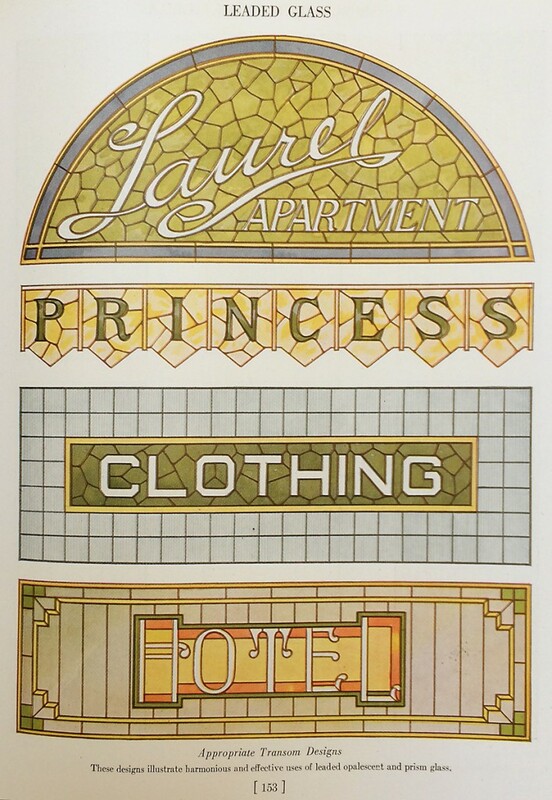 Between 1912 – 1914, the architecture firm of Purcell and Elmslie worked designed Edison Shops that used this form of signage. 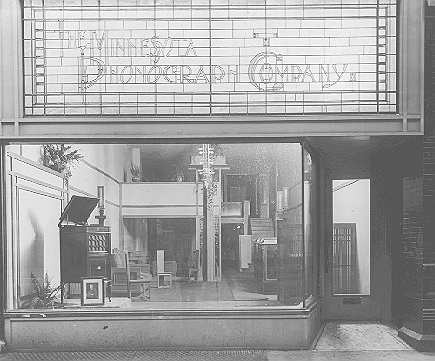 Here is there facade for the Minnesota Phonograph Company, 1914 (demolished). In my 1923 Pitsburg Plate Glass catalog, there are a number of illustrations that show various fonts and styles. 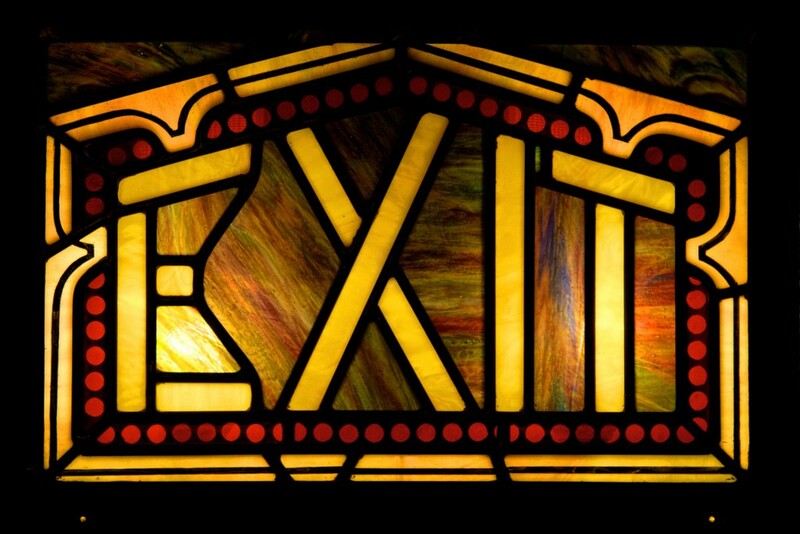 Although this isn’t a storefront, I had to include this exit sign made by the Povey Brothers of Portland, Oregon for the Historic Elsinore Theatre in Salem, Oregon, 1926. While we’ve never had an opportunity to revive this style of glass work, I have made one glass sign for the Hotsy Totsy Club in Albany, California. More here. I got a call from someone asking for help replacing damaged glass with old-looking wavy window glass. Normally this isn’t the sort of thing we do, but since he lived in Oakland and wanted to do the right thing for his historic home, I agreed to take the job. 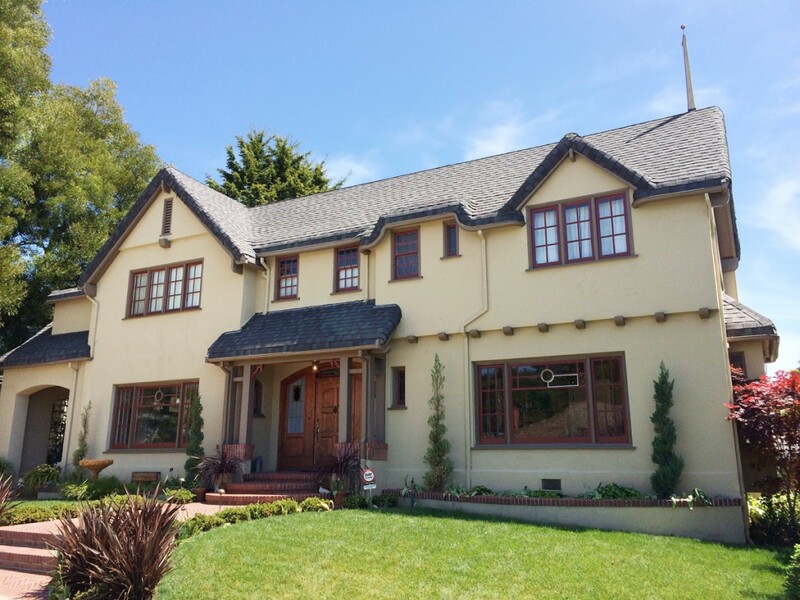 Most glazing contractors can’t be bothered with wavy window glass, but when you see a hundred year-old home and all the glass is original, except for two panes, the flat sheen of modern glass looks out of place. There are a few options for sourcing this. 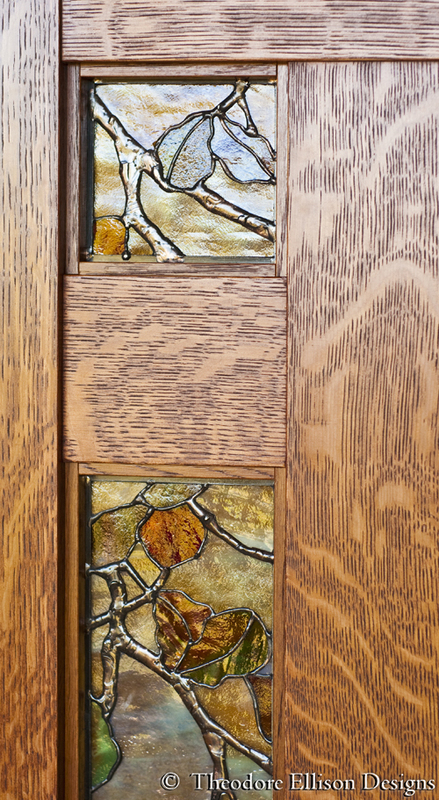 Bendheim sells two varieties of true wavy glass; full restoration and light restoration. This glass is still made the way it used to be; a large cylinder is blown on the end of a pipe, cut and flattened in a kiln. 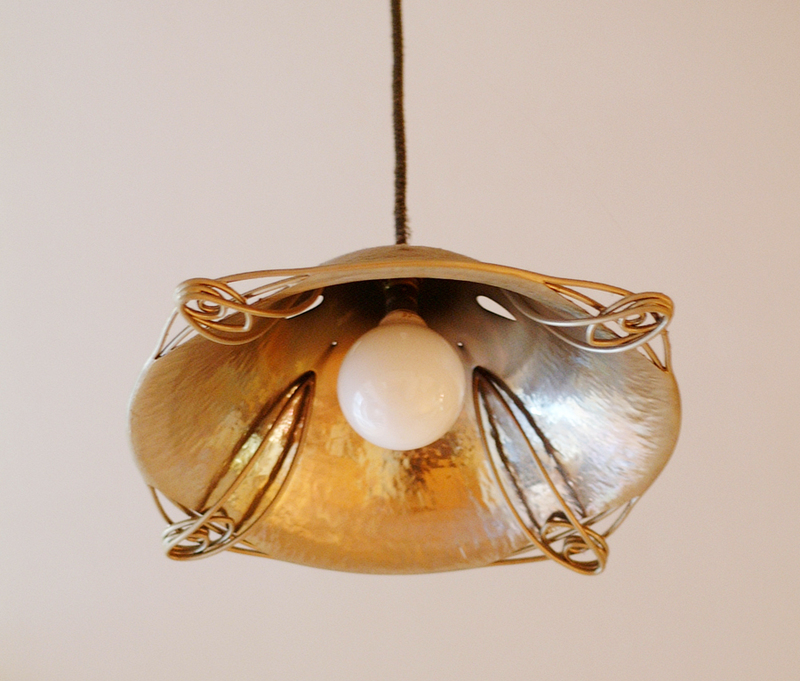 For homes built around the turn-of-th-century, the light restoration is a perfect match. Cost can be an issue since it’s made in Germany and has to be shipped from New York. Sheet size is 40” x 42” so this works for most small homes. For larger windows, Schott makes a high quality alternative called Restover that’s lower in cost and very similar to light restoration. They offer 3 products in larger sheet sizes and a variety of thicknesses that can be tempered, laminated and made into insulated units for those interested in energy savings and sound attenuation. The least expensive option is to use salvaged glass. My local yard sells old sash for $5 each and always has dozens to choose from. By carefully sawing out one of the corners, the sash can be peeled away from the glass (quite easily if the window is in bad shape). The white border in the upper panel is the glazing compound waiting for the painter. 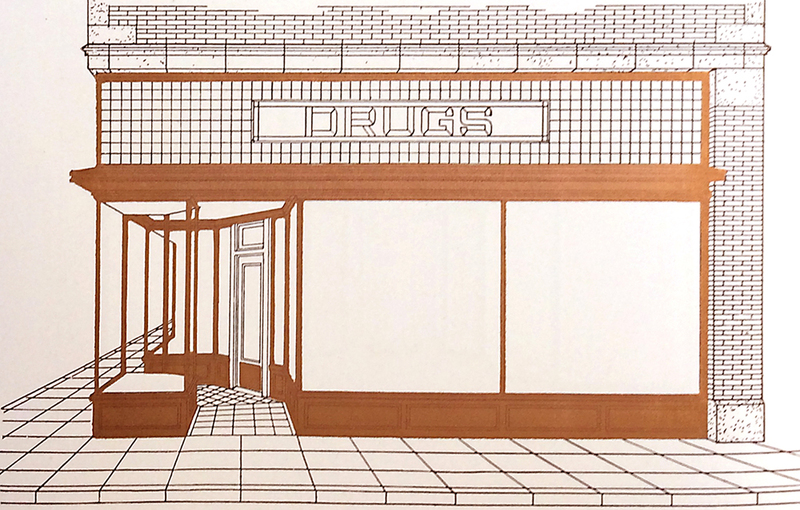 In coordination with Oakland Heritage Alliance, I’m hosting my first-ever open studio! 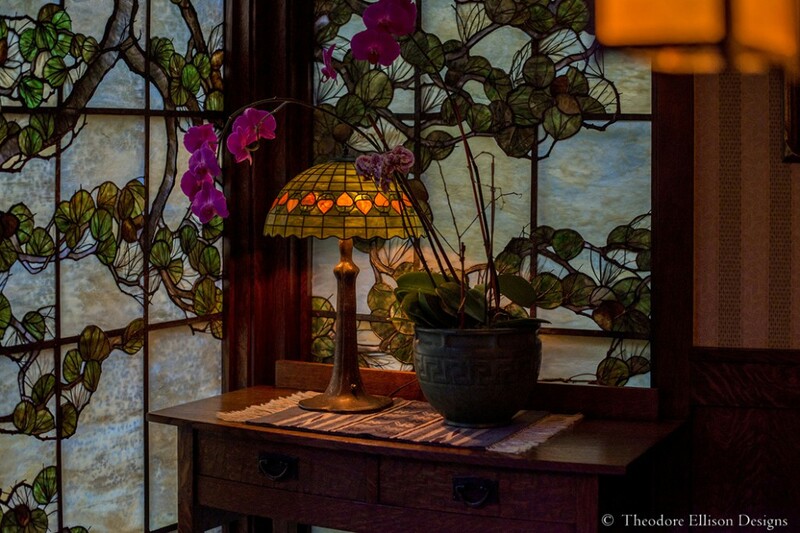 Theodore Ellison Designs has been making historically-inspired art glass, lighting and mosaics for homes all over the country from his East Oakland studio for the past 15 years. 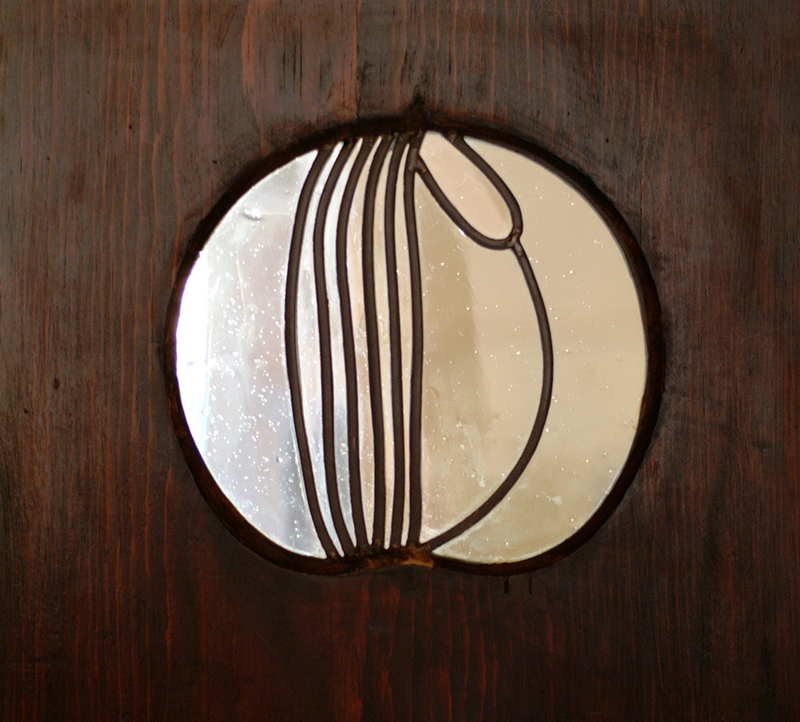 This studio visit will include a presentation of his work and approach to design, a discussion about the techniques and materials common in historical windows and a slide show of notable glass installations around Oakland and the Bay Area.